The EV Rider – Mini Rider Compact Scooter – 4-Wheel is a durable, portable, travel scooter for those who haven’t considered a disassembling scooter. Its portability and folding mobility seat has deep cushions and it comes with adjustable flip-up armrests for maximum comfort. The Minirider disassembles quickly and easily into smaller, lightweight pieces. The heaviest piece weighs just 37 lbs. 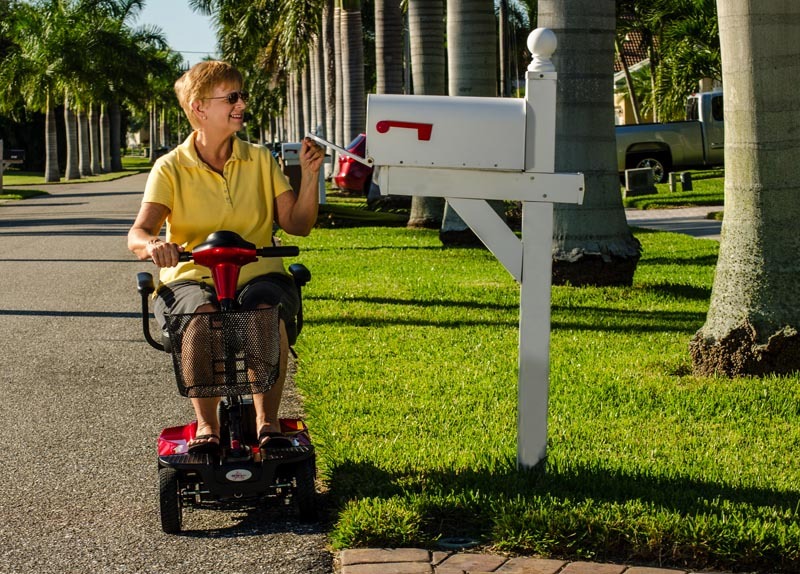 So whether you are by yourself or assisted by a caregiver, bringing the EV Rider – Mini Rider Compact Scooter – 4-Wheel anywhere is a breeze. Take it to shopping malls, museums and vacation spots. The rear wheel drive EV Rider – Mini Rider Compact Scooter – 4-Wheel is powered by an upgraded 400W .60 HP brush motor two 18 AH 12V sealed lead acid batteries. It offers a distance range of 15 miles on just a single charge. 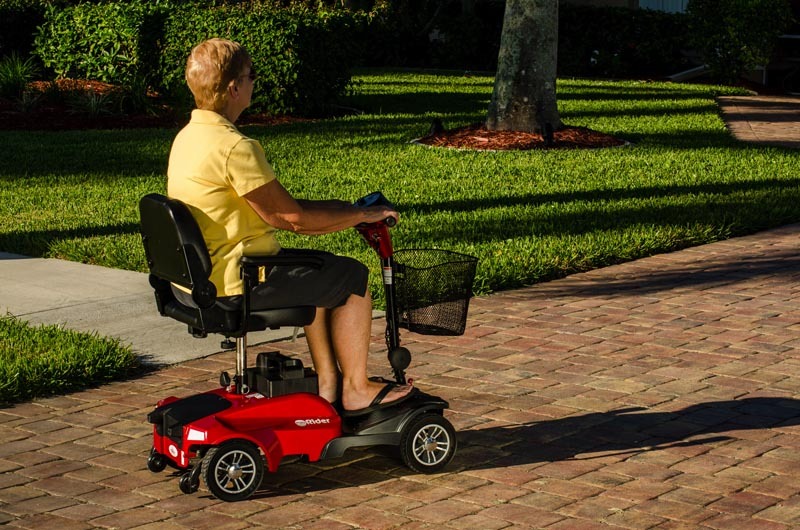 At 5 mph, it is one of the fastest and longest-lasting travel scooters in its class. Charging the batteries takes 6 to 8 hours. 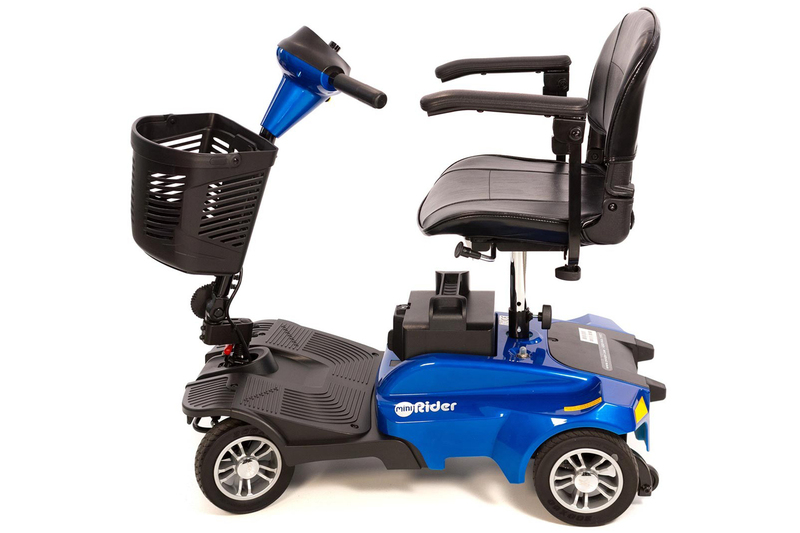 Features include a climbing angle of 10 degrees, a 70 amp controller, a load capacity of 275 lbs and a fold down mobility seat with armrests. It comes with an adjustable folding angle tiller. Throttle control is the traditional wig-wag. 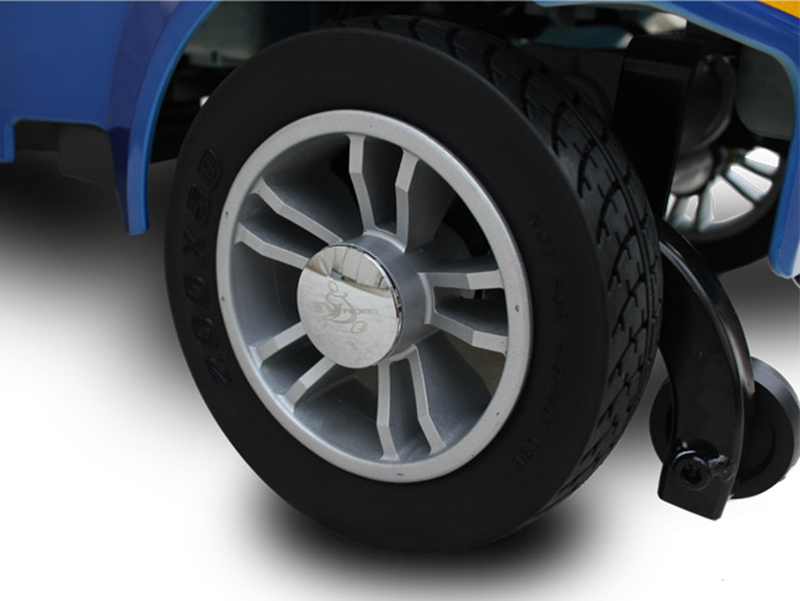 Rear anti-tipper wheels come with it for complete floor grip and safety. 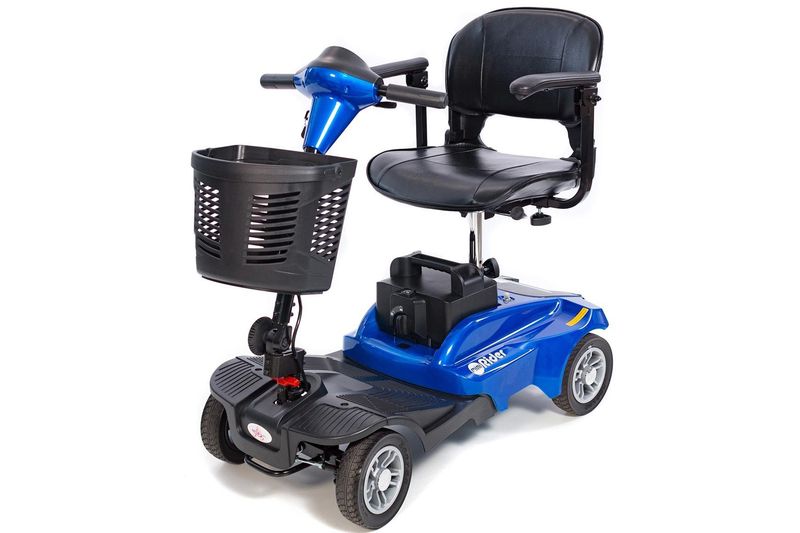 Important measurements are as follows: ground clearance of 2.5”; total length of 37” without the 21” basket; with at the armrests is 21”; overall height is 36”; height deck from floorboard to floor is 8.5” at highest point and 6.25” at lowest point; seat to deck is around 15 ½ to 17 ½”. It weighs a total of 110 lbs with the batteries, 80 lbs without. Brakes are electromagnetic. Reviews for this unit are quite positive especially when it comes to comfort. It is extremely ideal for everyday use. The seats are spacious with deep cushions and the solid flat-free tires don’t leave unsightly marks on the floor when used indoors. The front basket is spacious enough to hold a huge number of personal items. 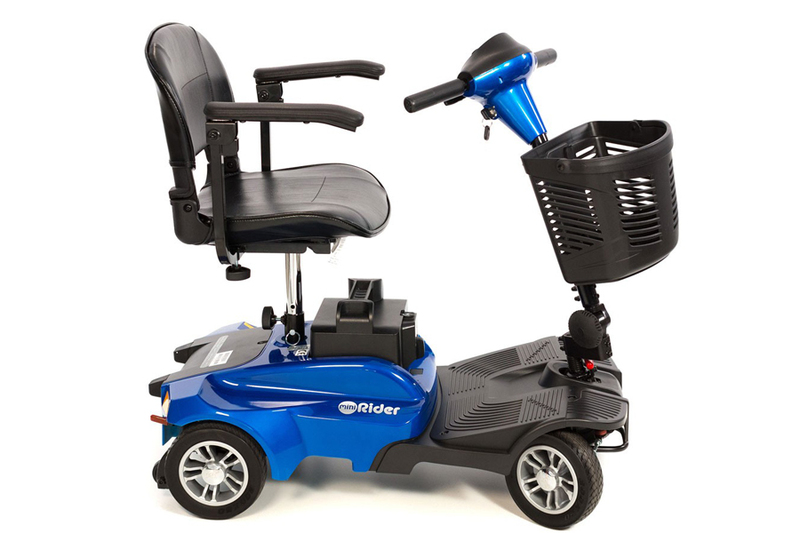 The maximum comfort, heavy-duty, portable mobility scooter for everyday use. The EV Rider - Mini Rider Compact Scooter - 4-Wheel is a great mobility scooter for daily indoor and outdoor use. 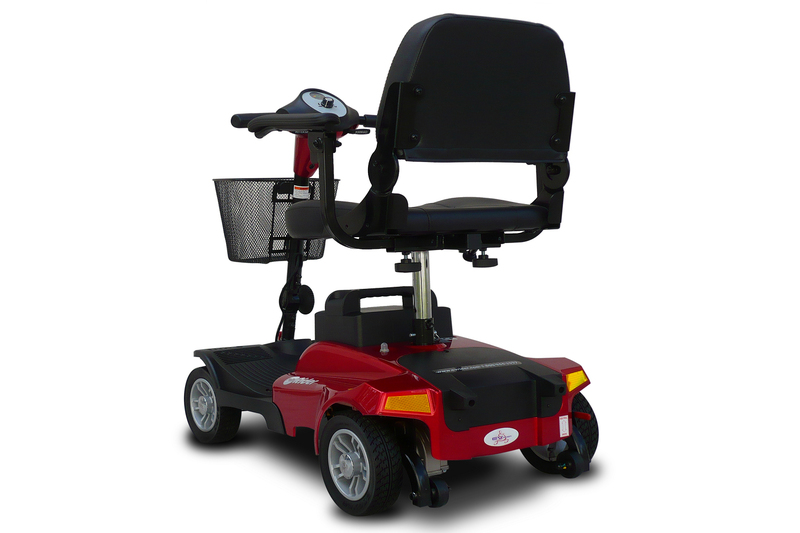 It is spacious, comfortable to ride, easy to manipulate and a breeze to disassemble.